Want to make your Mom feel spoiled and have a shopping frenzy?!? Enter her in the Show Mom She’s Loved Contest – and encourage your family to nominate you, too. Share with them the special way she makes you and others feel loved at Helzberg Mom is Loved contest page for a chance to win a $5,000 Helzberg Diamonds shopping spree. Helzberg Diamonds welcomes you to share best stories, photos and videos about the special mom in your life. Contest entries can be shared by children (18 and older), spouses/significant others, family and friends. The contest ends Friday, April 27. Here is the Official Entry Form and the Official Rules. 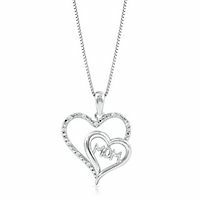 Keep your eyes out for a Review and Giveaway of a Mother’s Day Sterling Silver and Diamond Pendant right here on our blog. So excited!